Daniel Bridge Photography Tuition offers one-day photography workshops, photography courses and private photography tuition for individuals and small groups, mainly covering Essex but able to travel to Hertfordshire, Suffolk, Kent, London, and beyond if required. Based in Billericay, tuition is frequently carried out here, and in the neighbouring towns of Chelmsford, Brentwood, Romford, Colchester, Harlow, Basildon, Maldon and Southend. 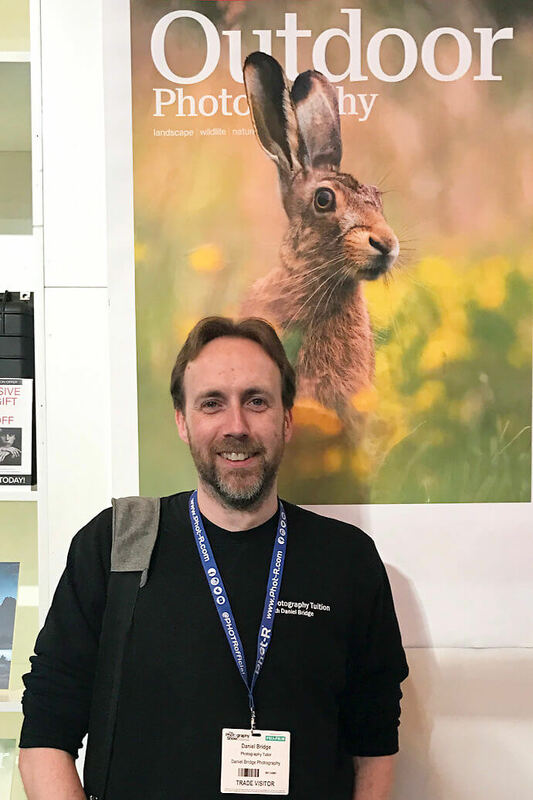 Daniel Bridge is a full-time professional photography tutor and nature photographer who has run photography workshops since 2003, and provided private photography tuition since 2007, now helping around 300 people a year get more from their photography. Daniel offers a range of one-day photography workshops, designed to expand your photographic knowledge for all situations. Know The Basics - learn the fundamentals of photography, and how to control your camera, brightness, and colours. Composition and Light - ways to compose a better image, exploring the thought process behind photography, and considering lighting and colour. Close-up and Macro Nature Photography - explore the world of macro; insects, flowers, fungi and more, looking at techniques, equipment, and flash. The Art of Garden Photography - garden and flower photography, from wider views to portraits of plants, composition, lens choice, and more. Sea and Shore Photography - from detail shots to wider views, this coastal photography workshop runs into the evening to allow long exposures with no special equipment. City of London and South Bank - Workshops exploring the urban environment, with architecture, people, abstract, and landscape shots all available. Birds of Prey Photography Workshop - a day of practical photography with Eden Falconry's beautiful birds, with both posed photos and flight shots. Alongside these, private tuition can allow us to explore a camera in greater depth, expand photography knowledge and confidence, working at a pace to suit the individual. Private Tuition - tuition tailored to you and your needs, whether that's controlling your camera or tackling a new subject, any day of the week. Lightroom and Photoshop Tuition - getting the best from your photography software, whether Photoshop, Elements, Lightroom, or Affinity. Photography Tuition Gift Vouchers - give the gift of knowledge and confidence, gift vouchers available for private photography tuition.